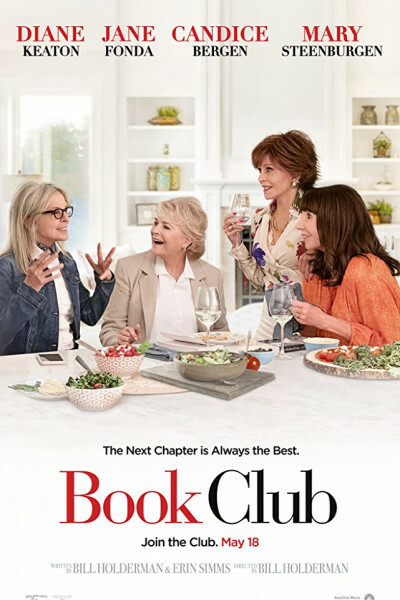 There's nothing wrong with this movie: It's predictably schlocky and sappy (and wildly reminiscent of a Nancy Meyers movie, though it's by Bill Holderman, of A Walk in the Woods and All Is Lost fame), yet endearing and delightful. And (as if there weren't already enough reasons to be humble), Book Club is reminder #47 that—if fortunate—we all get age and sag just a little bit more. This ain't Jane Fonda from On Golden Pond, nor the [supermodel] Candice Bergen we might remember from 1968, and that's a joy and the movie's saving grace. It's also nice to see Don Johnson and Andy Garcia again, and man, do they look great!